Ancient cultures held beetles in the highest esteem, worshiping them as symbols of both the sun and death. Later, during the Victorian era, they were hot collector’s items. 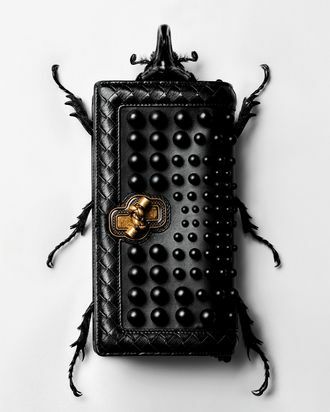 It’s not hard to imagine collecting, or even maybe venerating, this black nappa leather clutch from Bottega Veneta.